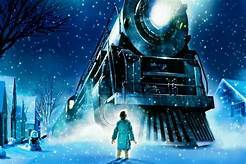 Experience The Polar Express like never before. As you arrive take your ticket to find your seat to watch The Polar Express! Interact with your favorite characters. There will be singing, dancing, hot chocolate and cookies. After the film, those who truly believe in the Christmas Spirit will receive the first gift of Christmas (silver bell) from Santa himself! *Children: $27 each, includes ticket, bell, cookie, hot chocolate and a meeting with Santa! *Children 1 and under are Free!